It was no surprise that homeowners Leo and Che Nicolas were very particular about style while they were building their first home. Being creative entrepreneurs, they certainly knew how to put their “notion in motion,” which, coincidentally, is also the name of their videography business. 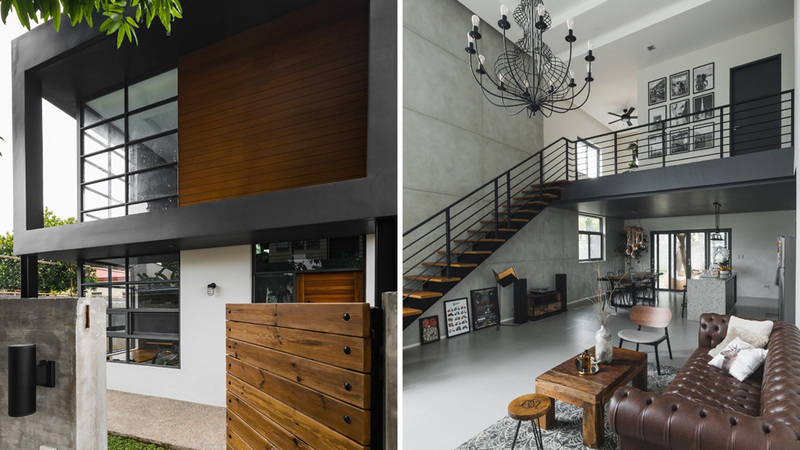 In 2015, the couple purchased a 400sqm lot in the city where Leo grew up in. They had a clear idea of the kind of house they wanted. “Gusto namin ng box-style house. Ayaw namin ng maraming details,” Che shares. In fact, she admits she is drawn to masculine elements. “We worked with 350 square meters of space and transformed it into a four-bedroom, 2 ½ bathroom retreat. Replete with a man cave and equipment room, of course,” adds Arqon. See how neutral color palettes make this home the perfect backdrop for a young family’s creative passions.